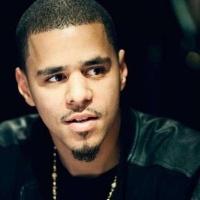 J.Cole est le petit protégé de Jay Z. Tu l'as découvert dans le Hit US de Skyrock avec son titre Power Trip. Dreamville Festival. Today. 40,000 sold out. Video directed by @Mez straight out south side Raleigh. Middle Child video tomorrow @ 12pm eastern. I’ll be in the chat @ 11am. Offset album out right now. “Father of 4”. I snuck one in at the buzzer. Congrats bro.